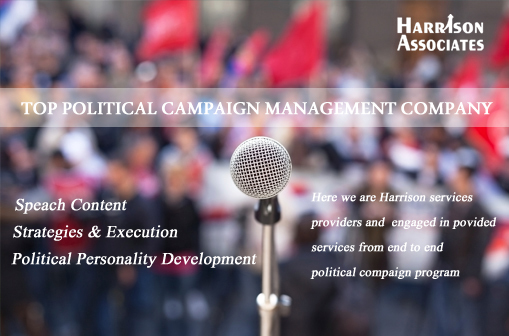 Harrison Associate is a multipurpose consultancy agency that offers a wide range of solutions to various brand promotion & political campaigning activities.We know every candidate and campaign is unique. There is no one-size- fits- all formula, which is why we work so closely with all of our clients. We get to know them and the issues most important to them to help craft a memorable message voters take with them to the ballot box. We craft a strategy which leverages your strengths and minimizes your weak points. We ensure that the message that you wish to convey is not just amplified but also reaches the right listeners. With us you will break new grounds.